So, you’re looking to cool a room (or two…or three) in your Rhode Island home, but you don’t want to mess with installing extra ductwork to cool them. Or maybe your home does not have ductwork at all. You’ve heard of ductless mini-split air conditioners. They sound interesting, but you have lots of questions. 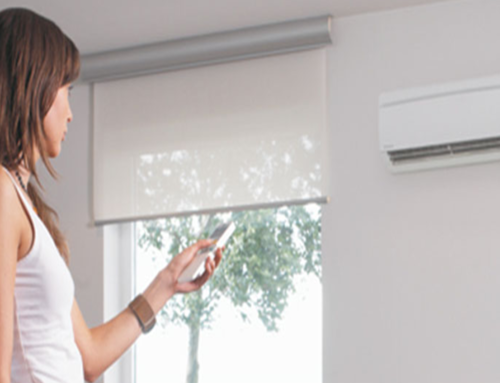 Many New England homeowners have questions about ductless mini-splits and ductless ac. We aim to answer the top 5 ones in this article. A ductless mini-split AC is just as it sounds: it’s a mini version of a split central air conditioning system. But it does not use ducts to deliver cool air, so it avoids the energy losses from leaky ductwork. They’re small, quiet and have several placement options for effectively cooling different rooms in your home. They also come with a remote control so they’re convenient to use. Yes, in some ways. Both can be used to cool a single room without ductwork. But a mini-split can add more evaporator units (up to 4) to one condenser unit. So technically it can cool up to 4 rooms. Mini-splits are also much more energy efficient than window units and last longer, too. A window air conditioner’s main selling point is that it’s relatively cheap. But they can also be a safety hazard since burglars could get into your home by removing the window unit. Learn more about the pros and cons of a mini-split air conditioner vs. a window unit. It’s not something you want to DIY install. But it is relatively easy for a qualified, professional contractor to install. The installer will need to determine where to place the inside and outside unit and then drill a 3-inch hole through a wall for the conduit. And the conduits come in several lengths, so you could easily cool a room in the front side of the home with the inside evaporator unit, while the outside condenser unit remains inconspicuous in the back of your home. Too small and the system will struggle to cool the room, increasing your energy bills. Too large and the system will short cycle, meaning it will cool the home too fast. This wastes energy and won’t properly dehumidify the room. And then there’s the cost of installation, which depends on what the contractor charges. But in general, a mini-split will cost $1,500 to $2,000 per ton (12,000 Btu per hour) of cooling capacity, according to the U.S Department of Energy. That’s about 30% more than central AC systems (but that’s not including ductwork). And may cost twice as much as window units of similar capacity. If you own a home in Rhode Island or Rhode Island area and want to schedule a free home consultation for a mini-split system, RI Retrofit can help! Contact us online, or call us at (860) 238-3112 for a free, in-home estimate for a mini-split system for your home. Is a Heat Pump Better then a Air Conditioner in RI?